While saving our treasured photos digitally seems like a good idea, there is always the chance that we could lose them forever if our devices broke. If that happened there would be no way we could recover those memories and fondly look back on them. And because it’s all so convenient to look at digital photos on our various screens, we almost never think about having them printed. These days, this practice is becoming less and less frequent, with the rare few who actually make the effort to select their favourite digital photos and have them printed as physical photographs. But because we have so many devices to store our digital photos on – USB drives, CDs. memory cards, and so on – it can be difficult to keep track of what photos are where. We often forget the joy of first receiving our Yearbook, forgetting about it for 20 years or so and then finding it, flicking through it an wondering what our classmates have done with their lives. It’s a great way to spend some time with friends and remembering the names of the people we went to school with all those years later. With the increase of ‘normal’ people becoming famous for all manner of reasons, a Yearbook is the perfect proof that you shared a classroom with a celebrity if one of your former classmates became famous! But more importantly, a Yearbook serves as the ideal keepsake to pass down to your children. It’s a simple yet joyous pleasure that can easily become extinct unless people (maybe you..?) were to invest their memories in quality Yearbook printing. Acid-free commercial printing paper is ideal for Yearbooks as it is resilient to the effects of time, as proven by the perhaps billions of volumes left by generations passed that have lasted for centuries. As an example, Sovereign Silk is a frequently used paper in the printing industry that is highly suitable for Yearbook printing. 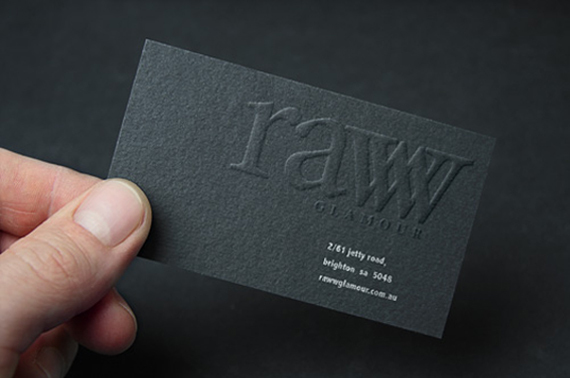 There are several other paper types should you wish to match a previous print. 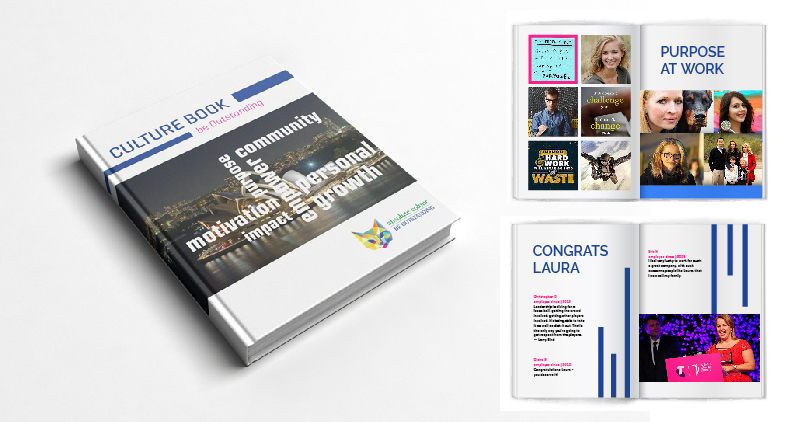 Not so long ago, custom printing meant you’d have to order in bulk, but due to improved printing technology you are able to have as few as 5 Yearbooks produced in various sizes, page numbers and binding styles. And because of this, Yearbooks and printing them have become more affordable than ever. Many online vendors allow for the DIY customer, but prices can differ greatly, so it’s highly recommended to get a few written quotes in case any price-related disputes arise at a later date. Gather and name group photos first, then order them by page number or as groups – for example, pages 4-8. Create a plain Word document to make a rough guide to see how many photographs and how much text you can have per page when it comes to printing. If you know how, continue the process with multiple Word pages. Not to worry if not – you can simply create several single pages and name them accordingly. If you’re happy with your DIY design, then these files can be sent to a printer. However, it is strongly advisable to draft in the help of a professional graphic designer who can make the overall design of your Yearbook more attractive. The main objective is to use a quality Yearbook printing service to physically preserve your memories for years to come. By Yvonne Parkinson – Director of Absolute Colour Printing – since 1990. We were thrilled this year to be one of the sponsors of She Business’ signature event Fearless, a wonderful, end of year rousing of nurturing women and inspiration. 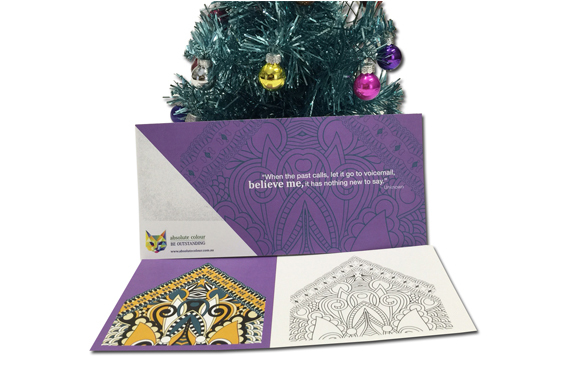 Absolute Colour Printing provided all the print collateral and the wonderful fearless diary. We heard from inspiring speakers such as Lucy Perry, Karen James and Matina Jewell. Afterwards we sat down with founder, Suzy Jacobs to find out what motivates her to be outstanding. Grab a coffee and enjoy the read. Suzy A: An absolute commitment to transform my life and the life of other women in Australia. To ensure women were making choices about their financial future with the knowledge from experts and support of a community. Suzy A: Very exciting times ahead as we create a place for businesswomen and entrepreneurs to access Australia’s top mentors, coaches and consultants on a regular basis at an affordable price. We’ll have 30 locations across the eastern seaboard by December 2016. Suzy A: I think we bring the same ones as our male counterparts however ours are perhaps slanted more towards vulnerability, honesty, purpose and a social conscience, caring for our community. Suzy A: The most energized, heart-felt extraordinary celebration of the year gone by and a place to be inspired and motivated to create the life of your dreams for the following year. Awesome networking, fabulous frocks, sensational people. Suzy A: The chance to transform my experience of life. To live authentically, congruently and to show up every day 100% ME. Suzy A: Open, honest and personal. That’s She Business. We’re known for our Brave conversations – when we have open, honest and real conversations with people we give them the greatest gift to move forward in life with choice and freedom. Woo Hoo! As we move towards the wonderful holiday season many of us are already diving deep into 2016 plans. If your brand is working hard to develop content, engagement and turn your fans into brand evangelists than you must consider an Absolute Colour brand culture book. We work with you to tailor the culture book specifically to your brand, vision and values. Talk to us about when you need it, how many and we do the rest. We Customise for your brand. It is beautifully bound and we help you design a personal note from the CEO that makes it such a special way to kickoff a new year with new targets, new focus and a positive commitment to working with your stakeholders as partners. We also package your print content so that you can re-purposed for your own digital media channels to extend the reach. We recommend that your culture book is aligned to your vision, company values and brand story in action including any supporting sponsorships or community programs. 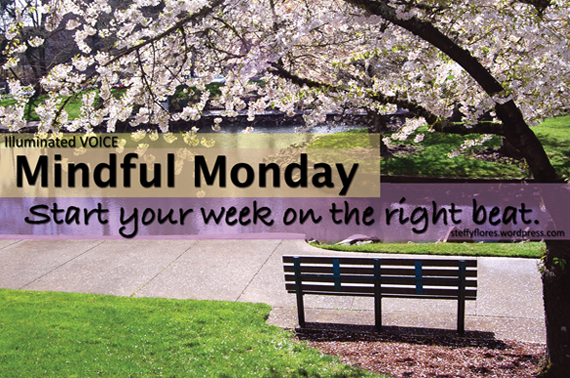 This week’s Mindful Monday is a little different. We talk about Work and Purpose. It’s a post inspired by U.S based Imperative who recently released their 2015 Workforce Purpose Index. It makes for a fascinating read and although the study is U.S centric there are some insights that are very relevant for the Australian workforce. According to the study workers with a purpose orientation are the most valuable and highest potential segment of the workforce regardless of industry or role. These Purpose orientated workers not only seek out purpose in their work, they create it and, as a result, out perform the rest of the workforce. They work and thrive in every industry and role from accountants at professional service firms to the farmers growing our food to the designers at creative agencies. According to Imperative, purpose driven workers are the foundation for successful organisations, a thriving economy, and a healthy society overall. On every measure, purpose orientated workers have better outcomes than their peers: 20% longer expected tenure, 50% more likely in leadership positions, 47% more likely to be promoters of their employers and 64% higher levels of fulfilment in their work. To understand the significance of these figures let’s look at what work orientation is. According to Imperative it is a psychological pre-disposition to the role of work in life. It is a stable mindset throughout one’s career that transcends a specific job or employer. Some people see work in their lives as solely a source of income or status. Others are orientated to see work as primarily about purpose – personal fulfilment and helping other people. As I have been re-imagining the purpose of Absolute Colour moving forward, I’ve focused on making our team and clients ‘be outstanding’. It’s an expression that we ‘walk the talk’. It’s really all about purpose. 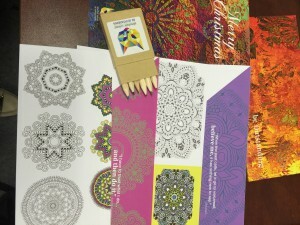 Yes, we produce wonderful print collateral in innovative and creative ways. But it is the pleasure I get in working with clients to deliver results that amaze and the joy that our regular roundtable meetups brings and that inspires me on many levels. It is about working in Colour. It is about encouraging people to be the best they can be. We all have a tremendous opportunity before us to define the success of our workforce by more than low unemployment rates, salaries and engagement. It is about people, the number of members of our community who are purpose orientated. We should be empowering our teams to tailor their work to build strong relationships, make a meaningful impact, and grow perosnally and professionally. I’d love to hear your thoughts? Message: Have a Mindful Festive Season or Have a Mindful Christmas. For orders over 100 gifts the messages can be customised with your own corporate messages and logo. Prices start at $9.95 per unit, discounts for volume orders over 100. Overleaf of the Christmas wish card, is a description on how mindfulness is the new attitude to living and for anyone who hasn’t noticed, it would seem if you visit any bookstore that adult colouring is all the rage to staying calm. At Absolute Colour we have a focus on working to deliver outstanding results for all of our clients. That requires focus and it requires all of our team to practice mindfulness. For us it is about really listening to the challenge our clients present to us and working hard behind the scenes to deliver the best and most creative solutions. So today I thought we would share an exercise about mindful conversation. Make an effort to really consciously listen annd speak throughout the day. For example when you are talking to a colleague today and ask how their weekend was, really listen to their answer and respond accordingly. 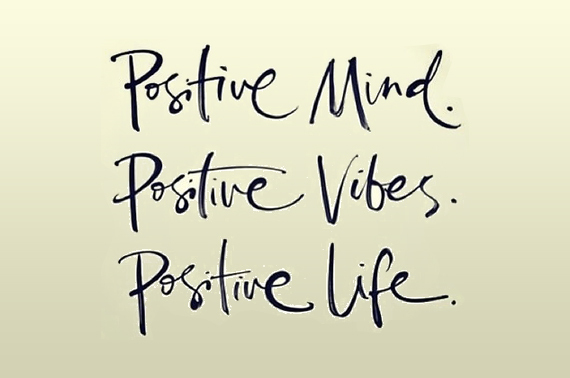 Go about your day focusing on Being Oustanding! We have been talking a lot about innovative solutions for print campaigns. In our experience at Absolute Colour, they are only limited by a client’s imagination. OPSM, to raise awareness of children’s eye health and improve the visison of children across Australia, released their ‘OPSM ‘Penny the Pirate’ campaign. A free children’s book, supported with an app, which integrated eye screenings into the story. A Canadian ad agency has produced a door drop designed to appeal to cats. Yes, that is right, the cat of the house. The direct mail piece promoting Bulk Cat Litter Warehouse was covered in concentrated catnip, so that the cat of the house would start fondling the flier as soon as it came through the door. Wonderbra launched a magazine centrefold cleavage with a toggle to pull the pages closer giving the woman’s breats a ‘lift’ as the pages are pulled together. The campaign was released throughout several magazines and supported by outdoor media billboards across the United Kingdom. A Japanese newspaper has developed an augmented reality app that changes articles for adults into features for children. The child friendly version features simplified language and cartoon animation on all articles, from politics to social problems. Kit Kat launched Wi-Fi free zones in Amsterdam to help people ‘have a break’ from updates, emails and other digital noise. The zones block internet access within a five metre radius and encourage people to enjoy a good magazine or book instead. Microsoft placed a Wi-Fi enabled print advertisement in a special edition of Forbes to promote its Office 365 software, providing free internet to those who kept the magazine with them. Once activated, the router embedded within the pages provided users with 15 days of free internet, which could be used by up to five devices simultaneously. Johnson & Johnson have produced a print advertisement infused with the scent of baby powder. Designed to appeal to mothers, the full page ad was taken out in a number of Indain newspapers including The Time of India.